1) Papers included in various special issues. These papers are solicited by each prospective guest editor and are described in his or her proposal for the special issue. If the proposal is approved, the guest editor assumes full editorial responsibility for all papers contained in the special issue. 2) Autobiographical retrospectives. These are invited papers based on the recognition that the author has made major contributions to the systems movement. 3) Overview papers. These are invited papers, the purpose of which is to provide readers of the journal with information about important recent advances in a rapidly developing special area that is relevant to the aims and scope of the journal. 4) Tutorial papers. These are invited papers, the purpose of which is to introduce readers of the journal to an emerging new area pertinent to the journal. The aim of this editorial is to introduce a new type of special papers. These will be more extensive overview papers devoted to an area of extraordinary importance, to each of which the whole issue of the journal will be allocated. It seems reasonable to refer to these special issues of the journal as thematic issues to distinguish them from special issues. The primary distinction is that thematic issues are invited and written by one author or, possibly, by one team of authors. The purpose of publishing each of these thematic issues is not only to stimulate interest in the covered area, but also to convey a message that this area is central to the aims of the journal, thus encouraging submission of papers contributing to it. This is the first thematic issue. It is devoted to anticipatory systems and its author, Mihai Nadin, is one of the most distinguished contributors to this area. While the idea was introduced in two papers published by Robert Rosen in 1974 in the first volume of this journal, virtually nothing on anticipatory systems has been covered in the following 37 volumes. It is, thus, timely to report on the tremendous developments since those early papers and express in this way the ongoing interest of the International Journal of General Systems in this important area. It is my hope that this thematic issue will stimulate the basic and applied research in anticipatory systems and, at the same time, encourage researchers working in the area to submit papers describing their work to this journal. 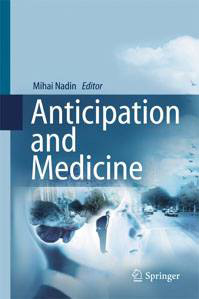 Finally, I would like to express my gratitude to Professor Mihai Nadin for accepting my invitation and preparing, within a relatively short time, this interesting and comprehensive overview of the rapidly growing area of anticipatory systems.